Carte de l'Isle de Cypre, sixteenth century(? ), published in 1764 by Nicholas Bellin. 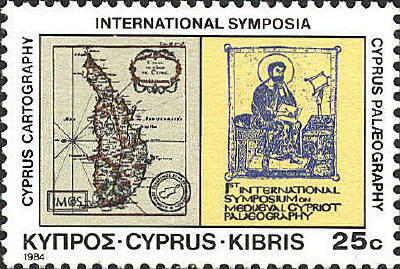 Cyprus is oriented with west to the bottom of the map. The map differs somewhat from those of Mercator and Bleau from about the same period. The first Earl Kitchener was commissioned in the Royal Engineers in 1871. 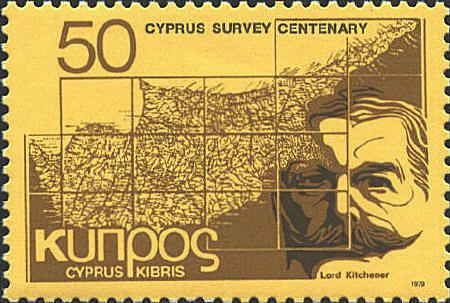 It was in his capacity as an engineer that he made the survey of Cyprus that is commemorated by this stamp.